If Democrats are trying to reassure anyone that they won't impeach President Trump, they're aren't doing a very good job of it. 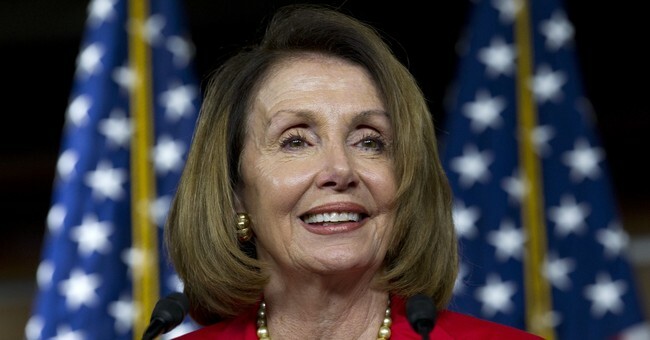 Just days after her party won control of the House, Rep. Nancy Pelosi made clear that Democrats might impeach the president even if Trump-Russia special counsel Robert Mueller does not find evidence to warrant charges against him. "Recognize one point," Pelosi told the Atlantic. "What (Trump-Russia special counsel Robert) Mueller might not think is indictable could be impeachable." "We're waiting to see what the special counsel finds," Rep. Jerrold Nadler, who will run the House Judiciary Committee, told CNN. "And we will then have to make judgments. I certainly hope that we will not find the necessity for an impeachment. But you can't rule that out." Before Pelosi and her fellow Democrats turn down the road to impeachment, they might do well to listen to the last speaker of the House who tried to remove a president. Newt Gingrich famously led the Republican impeachment of Bill Clinton in 1998 and 1999. Today, he has regrets. In a recent interview at the Washington Examiner's Sea Island Political Summit, I asked Gingrich about Senate Majority Leader Mitch McConnell's recent statement that the Republican campaign against Bill Clinton backfired on the GOP. "The business of presidential harassment, which we were deeply engaged in in the late 1990s, improved the president's approval rating, and tanked ours," McConnell said. "I think McConnell is largely right," Gingrich told me. "I think we mishandled the (Clinton) investigation ... and I think that we should have been calmer and slower and allowed the country to talk to itself before we reached judgment." Gingrich pointed to another House leader, Democrat Tip O'Neill, who handled House action against Richard Nixon during Watergate. "O'Neill was better than I was at managing that process," Gingrich said. Gingrich's words -- and McConnell's, too -- are extraordinary admissions of mistakes. Together, they serve as a warning to Democrats to be cautious when it comes to impeaching Trump. On the other hand, some might see Gingrich and McConnell as simply trying to scare Democrats away from pursuing a Republican president. In any event, though, they point out that impeachment can put a party in a very dangerous position. Of course the Trump and Clinton cases are different. Yes, Trump's job approval is nearly the same as Clinton's was at this point in his presidency, according to Gallup. But Trump has been the target of relentlessly negative media commentary, while during the Clinton scandals much less of the commentary targeted the president, and a good portion instead targeted Republican investigators. Today, there is one group that really wants impeachment, and that is Democratic voters. According to an NBC News exit poll, 78 percent of Democrats who voted in the midterms say Congress should impeach the president, versus just 17 percent of Democrats who oppose the move. Outside of Democrats, 57 percent of independents are against impeachment, versus 34 percent who support it. And 94 percent of Republicans oppose it, versus 5 percent who support it. House Democrats will investigate Trump on a whole range of topics. But any impeachment would likely be based on the Russia affair. As Nadler suggested, Democrats will wait to take action until after special counsel Mueller reports his findings. But as Pelosi noted, Democrats reserve the right to impeach Trump even if Mueller does not uncover evidence of serious wrongdoing. What is extraordinary, given some Democrats' appetite for impeachment, is how little a role the Russia investigation played in the midterms that brought Democrats to power in the House. Democratic candidates did not campaign on an elect-me-and-I'll-impeach-the-president platform. Indeed, in many races the issue never came up at all. Democratic strategists warned candidates against using the I-word, suggesting they instead pledge to serve as a "check and balance" on the president and hold him "accountable." Now, however, with the elections safely over, impeachment talk is back. Democratic leaders know that nearly eight out of 10 of their voters want them to impeach Trump. Political leaders do not usually ignore the wishes of eight out of 10 of their supporters. Perhaps Mueller will produce some shocking new revelation that will turn overall public opinion toward impeachment. In the absence of that, though, it seems difficult to envision a Democratic impeachment attempt succeeding. Which means that, if Democrats plow ahead against the president, they might in the future, like Gingrich and McConnell today, regret the path they chose.